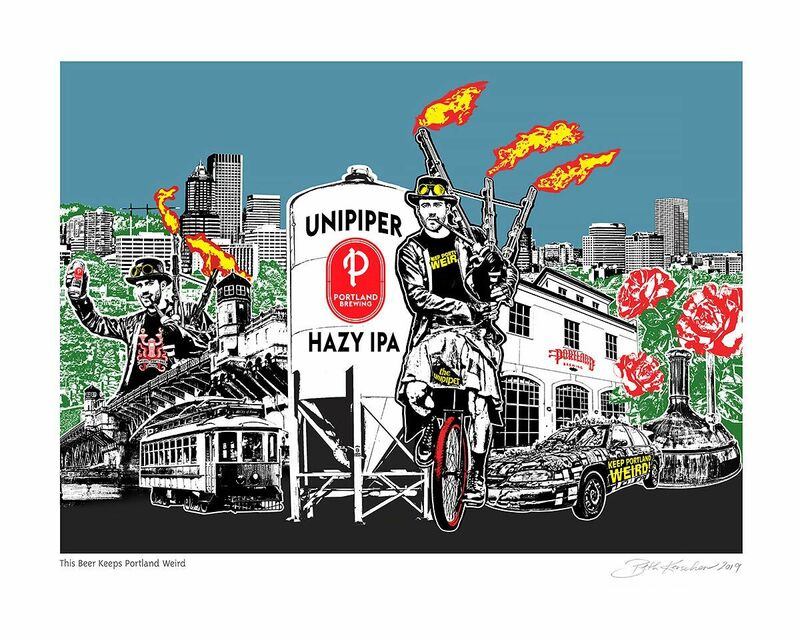 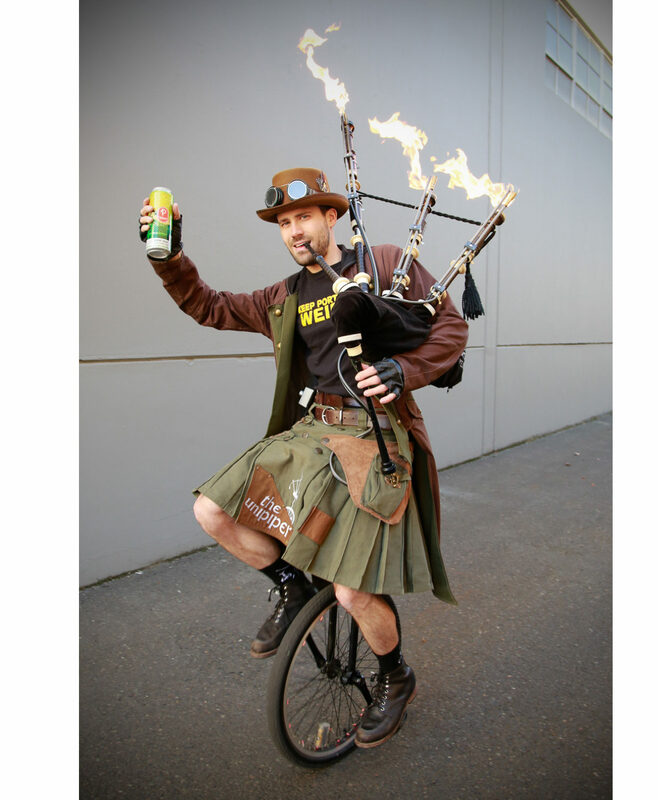 SCOPE OF WORK: I am honored to join forces with Portland Brewing and Portland’s favorite icon, The Unipiper, to design 22oz limited-edition beer bottle labels for the release of a new collaborative beer – Unipiper Hazy IPA. 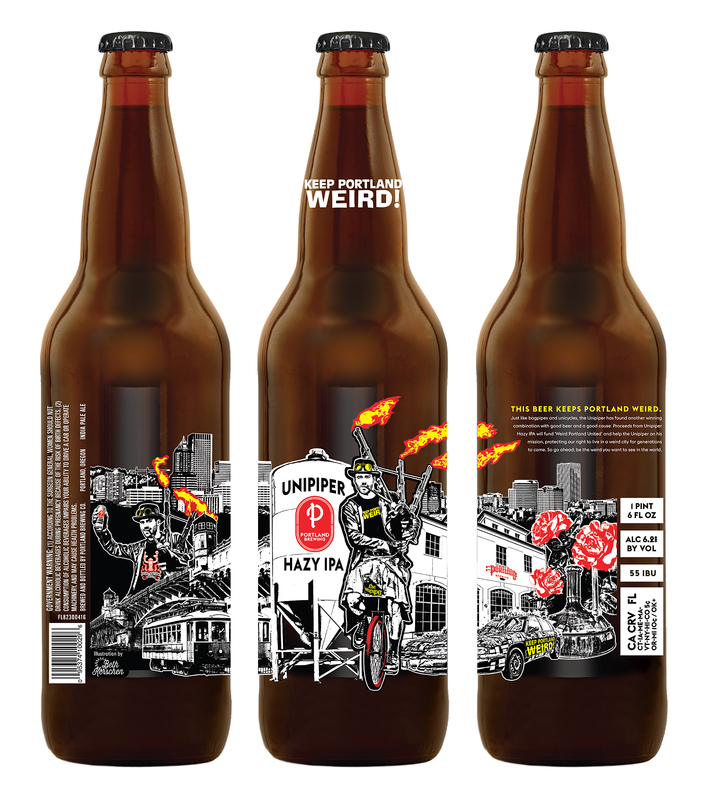 A percentage of sales from Unipiper Hazy IPA will support The Unipiper’s new non-profit, Weird Portland United (WPU), an organization designed to preserve the unique spirit of Portland. 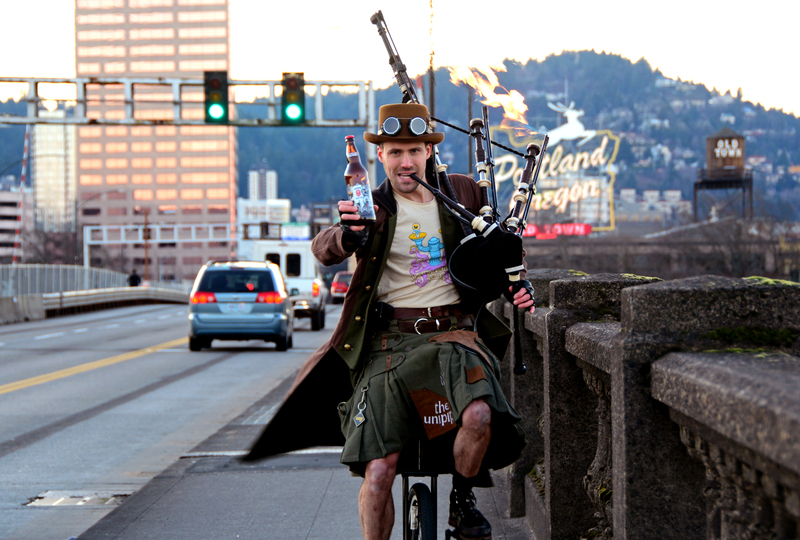 For the beer label The Unipiper (Brian Kidd) and Portland Brewing wanted to capture the city’s “Keep Portland Weird” reputation while highlighting their beer collaboration. 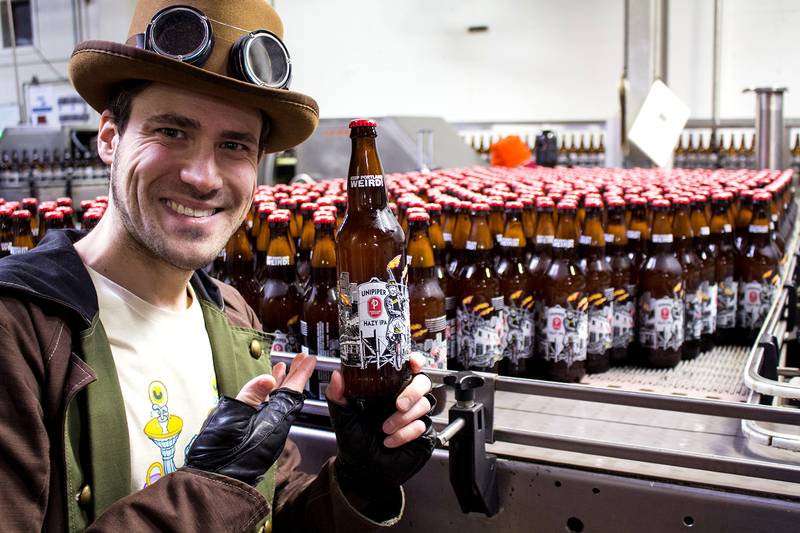 It was key to communicate all these important aspects of this project on this single label, and that is where my photomontage style really shines.